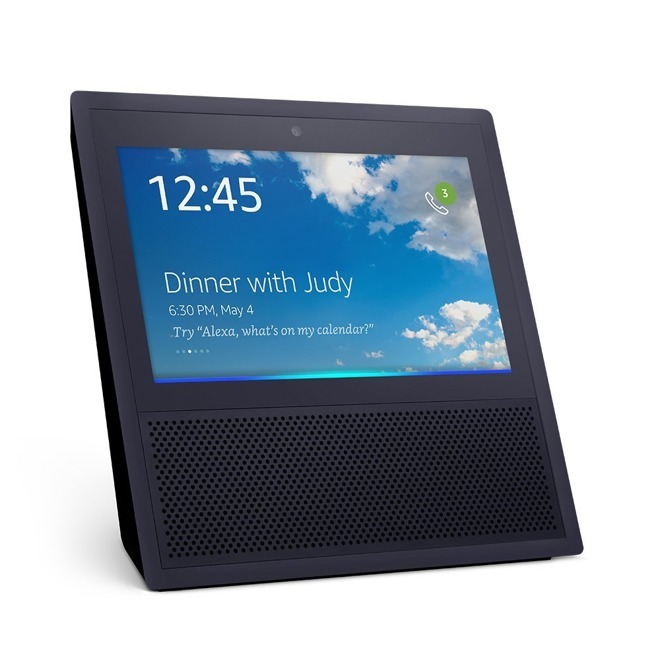 Notably, the Amazon Echo Show is only available for preorder, as the product will not be released until June 28. That's three and a half weeks after Apple's Worldwide Developers Conference keynote, where the company is rumored to unveil its own standalone Siri home speaker to compete with Amazon's Echo lineup. Apple's take on the always-listening home assistant is rumored to also be a premium-priced device, boasting high-end audio with one woofer and seven tweeters. Unlike the Amazon Echo Show, however, Apple's product is not expected to feature a display, and there have been no indications that it will have a camera either. 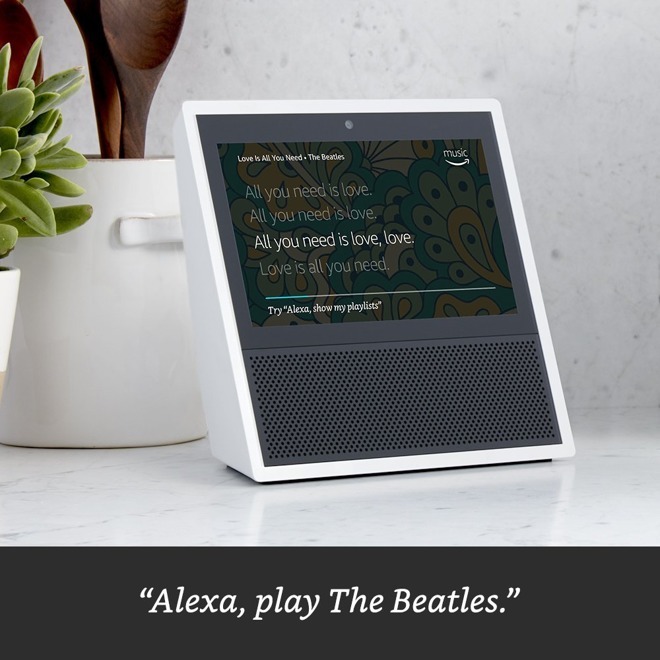 Among the features that the Echo lineup with gain with a touchscreen include video flash briefings, music lyrics, live feeds from security cameras, weather forecasts, to-do and shopping lists, and more. Amazon will also allow users to voice or video chat with friends and family who have an Echo or the Alexa app on iOS or Android. The stereo speakers are advertised as "room-filling" and boast Dolby processing. And the system includes eight microphones with beam-forming technology and noise cancelation, allowing the system to hear users from anywhere in a room, even when music is currently playing. 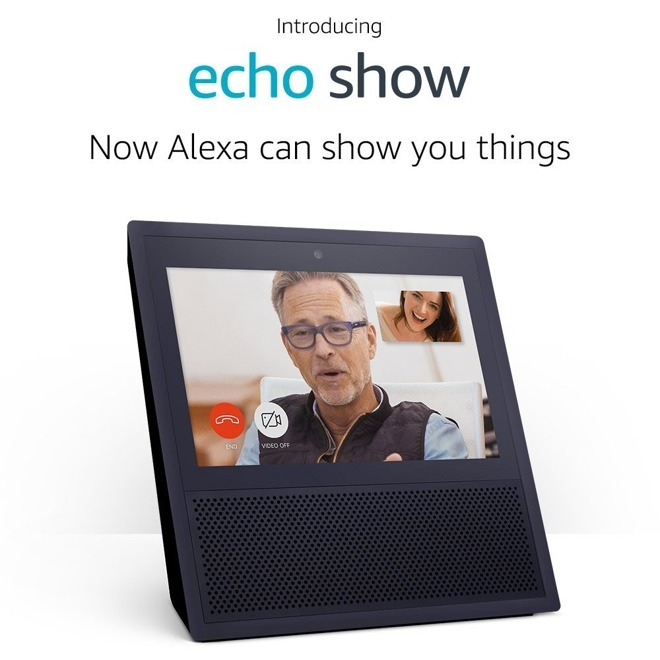 To incentivize preorders, Amazon is offering a $100 discount for customers who buy two or more Echo Show devices, using the code SHOW2PACK. The flagship touchscreen Echo Show first leaked online last week, so Tuesday's announcement was anticipated. Apple, meanwhile, is said to be planning to unveil its Siri home speaker as soon as next month at WWDC, which kicks off in San Jose on June 5. As rumors of Apple's Echo competitor heat up, it's possible that Amazon chose to preannounce the Echo Show in an effort to steal some of its rival's thunder. Still unknown is when Apple's rumored product could hit the market —reports have vaguely suggested it's on track for release in the second half of 2017. Apple's speaker is rumored to borrow some design cues from the Mac Pro, boasting a cylindrical shape and concave top with physical controls available. It's believed that the system will be driven by a powerful custom CPU equivalent to an A8 processor or newer. It has also been said that Apple's model will feature a custom W1 Bluetooth chip for easy pairing to new accessories, and it will integrate AirPlay support for high-fidelity audio quality over Wi-Fi.